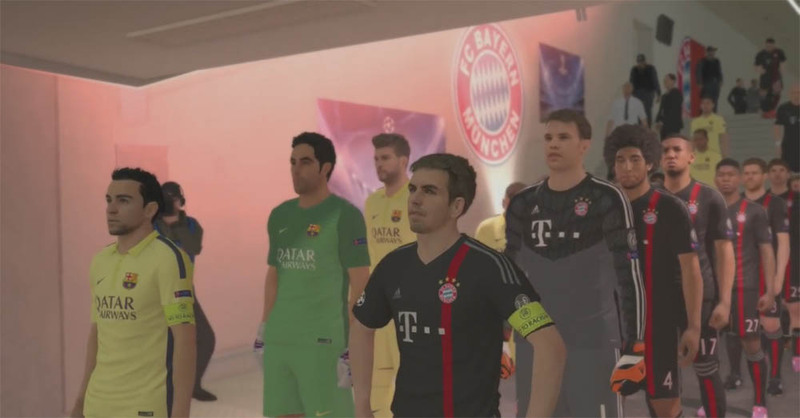 The PES 2015 retail version is already being shipped to various gaming and PES fan sites accross the world and Prorevo have already put out the first few new PES 2015 gameplay videos, making full use of Youtube's new 60FPS feature. The PES 2015 videos were recorded on PS4 in 720p and 60 frames/second in the PES 2015 retail version. PES 2015 will be out worldwide next week. This new PES 2015 gameplay video shows a match between Germany and Brazil at Olympiastadion, Berlin. Champions League match between the two giant in Allianz Arena. Copa Libertadores match of San Lorenzo from Argentina against Nacional of Uruguay.